Unlike pruning, tree trimming should never be considered a regular thing – before you decide to reduce a tree's volume, height or weight, you'd better have a clear and reasonable goal in mind. The trimming jobs we are asked to do will tend to be a good deal more invasive than pruning ones. As opposed to just cutting off a few branches, our customers will sometimes ask us to radically alter a young tree's pathway (most often to prevent it from growing in a way that would end up warranting removal). Can serious trimming be done without putting the tree in jeopardy? It depends on the contractor you're working with as well as the expectations you have. Because we know how trees react to different types of stress, we're able to perform trimming feats that are a few steps short of miracles without doing something that will directly or indirectly lead to a tree's death. In general, we always encourage our customers to let their trees flourish as much as they can – trying to keep a tree 'down' is akin to leaning on a young person in order to stop them from growing. With that in mind, young people generally don't grow twenty or thirty feet tall, so we definitely understand why one might feel the need to trim a tree off the top. 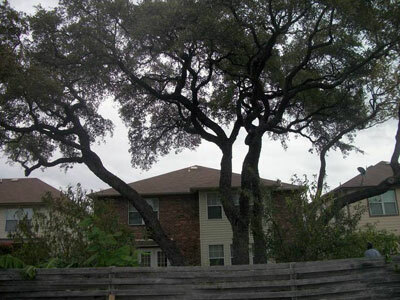 If you're in charge of one or more trees whose size is exceeding neighborhood ordinances or is potentially causing safety hazards (growing into utility lines is one example of this), don't hesitate to call us and consult our specialists in regards to what can be done – in the absence of disease or infestation, tree removal should always be a last resort when all other options have been exhausted. Most importantly, never attempt a trimming job on your own. While mild pruning can be done by the tree owners themselves – provided they have the right tools and were educated by an arborist regarding proper trimming practices – most DIY trimming jobs will result in the complete removal of the tree as it grows sickly from overly-generous cutting. If there is no choice but to trim your trees, let us help – we'll take care of this difficult and oftentimes confusing task without putting anyone in danger. Other than the standard height trim, some customers want to know whether we can help them reduce a tree's width and stop it from growing too 'bulky'. 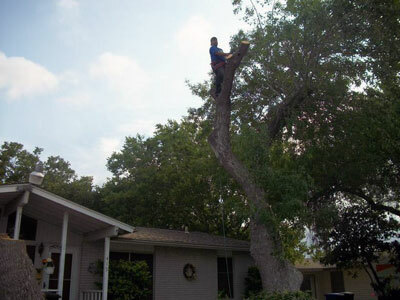 In these situations, we'll do our best to educate the client on why a tree needs to be allowed to develop – each additional branch we remove will stress the tree further and test its healing abilities. With that in mind, our knowledge of how trees work and how they respond to different input lets us perform seemingly-impossible trimming jobs without impairing the tree's ability to heal itself. If you'd like a different look to your tree or have no choice but to ask for a size reduction, an Above All Tree Service arborist will examine the site and instruct you on how to proceed. We're not afraid to grab the shears and get to work as long as our customers are aware of exactly what the end result will be.